A-pop! Goodbye Ebert, goodbye Lin, hello China. You are here: Home / Columns / Column: Pop Culture / A-pop! Goodbye Ebert, goodbye Lin, hello China. In early April, the world bid adieu to Roger Ebert, famed writer, journalist, and film critic, who passed away after an 11-year battle with cancer. He was an unparalleled figure in the world of film criticism, and he was often known for championing cinematic work from minority filmmakers. Asian American cinema enthusiasts may remember Ebert’s fierce defense of the indie film “Better Luck Tomorrow,” a crime-drama movie about Asian American overachievers who fall into a world of crime as a way to deal with the boredom of their teenaged, suburban life. The movie burst onto the film scene at a time when there was little to no representation of Asian Americans in front of or behind the camera. For Asian Americans coming of age during this time (including yours truly), the film was a trailblazer, as it shattered stereotypes and preconceived notions of the model minority. The film also served as the directorial debut of Justin Lin, and introduced audiences to actors John Cho and Sung Kang. During the film’s screening at Sundance in 2002, Lin and his cast fielded criticism from a white spectator, who claimed that the movie was a cliché and derided the film as an “empty” and “amoral” representation of Asian Americans. It was a condescending comment, and one that Ebert didn’t take too kindly when he stood up in the audience to defend the film. Ebert’s public defense of “Better Luck Tomorrow” — in addition to a written review with glowing praise for the movie — put the film on the map, and subsequently carved new opportunities for Asian Americans in the film industry, while widening the distribution of Asian American films to new audiences. This is why honoring Ebert’s memory is important. He was a true friend to Asian American filmmakers and audiences alike, and he understood well the necessity for discourse and context when it came to multifaceted representations in ethnic media. Asian American cinema has lost one of its original champions, but Ebert’s spirit will continue to live on as the industry thrives and grows in unprecedented ways. Thanks for everything you’ve done, Roger. To echo some of your famous last words, we’ll see you at the movies. Speaking of Lin, his directorial efforts for “The Fast and the Furious” franchise have recently come to an end. Lin, who has directed the last four installments of the action film series about high-stake street racing and heists, will not be returning to direct the seventh film in the series … as he will be too busy completing post-production on the sixth film of the franchise, which will debut later this month. Fans of “The Fast and the Furious” films may be sad to see Lin depart, as the Taiwanese American director has been credited with reinvigorating the series into the popular franchise it has become. Actor Steve Byrne, who plays the lead character in the sitcom “Sullivan & Son,” reportedly had his jaw broken after he was hit by an agitated cab driver recently. Byrne is of Korean descent. His injury required him to have his jaw wired shut for recovery, leading to a six-week shutdown of his show. Despite the setback, the show is still slated for a summer premiere in a few months. “Sullivan & Son” is currently in production for its second season. If you’ve been harboring dreams of becoming a superstar or a shape-shifting robot, you may be in luck. 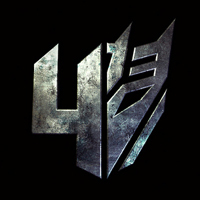 Word on the street is that the new “Transformers 4” film will be partially shot in China. The movie currently has no official title, but will presumably still be a science fiction-action film about the aforementioned shape-shifting robots. Some of the film’s content will also be contextualized for Chinese audiences, and producers will be casting a few of the Chinese roles through a local reality show. The name of this reality show? “The Transformers 4 Chinese Actor Talent Search.” The title may be wordy, but at least it’s to the point. Contestants of all acting ability are welcome to compete, and the panel of judges will include film and media distribution executives from both America and China. Because competitive reality shows are currently very popular in China, the show will help establish the film’s presence in the country and create buzz among locals, while allowing producers to tap into a growing market. It’s almost imperialistic, if you stop and think about it for a second. Thanks for the good writeup. It in truth was once a amusement account it. Glance advanced to far added agreeable from you! By the way, how could we keep up a correspondence?